Single 60 minute Session $80. Today, more and more people are suffering from respiratory issues. From pollution and smog to airborne diseases, pollens and toxins, never before has our society been faced with a growing epidemic of respiratory ailments. Salt Therapy also enhances and impacts various skin conditions. Salt Therapy has been researched over the past few decades and even centuries in history as proven to be a safe alternative and compliments other treatments to produce sustainable results. 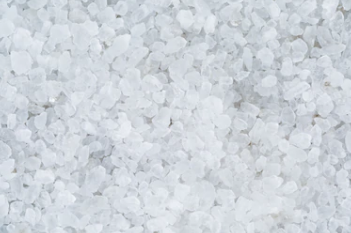 Most people are familiar with ‘wet’ salt therapy. 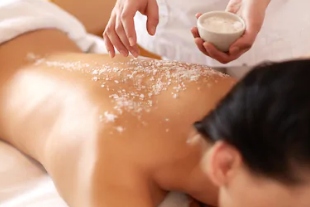 Whether you’ve put salt in a bath or have had a saline solution treatment or have used a Nettie pot to clear your nasal passages or gargled with salt water, wet salt has its benefits. Dry salt is different and the drier the salt the better. That is why S.A.L.T. Chamber, Inc.’s protocols include heating the salt prior to putting it into the salt chamber. Heat ensures that all moisture is evaporated so when it is crushed and grinded into micro particles and inhaled, the salt particles can do their best job. Dry pharmaceutical grade salt is heated and then it is grinded and crushed into very tiny micro-particles. These dry aerosol micro-particles of salt are then dispersed into the S.A.L.T. Chamber during a typical session. As the person relaxes in the S.A.L.T. Chamber the micro-particles are inhaled. The particles penetrate deep into the lungs, bronchi, bronchioles and alveoli. While inside the S.A.L.T. Chamber, the non-inhaled salt particles fall onto the skin. The inhaled salt has bactericide, mucokinetic, hydrophilic and anti-inflammatory properties, which results in reduced inflammation in the entire respiratory tract, widening of the airway passages, accelerated transport of mucus, elimination of residual tar and foreign allergens, and an improved immune system. Dry salt is super absorbent and acts like a sponge attracting foreign substance along it’s path through the respiratory tract. The dry salt acts like a toothbrush and cleans through the respiratory system removing build-up of foreign elements that cause various respiratory ailments and conditions. 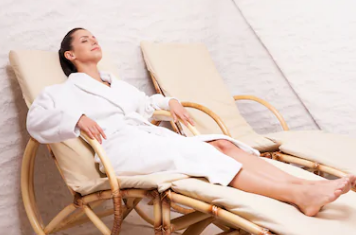 Dry salt therapy benefits people with various respiratory conditions such as: Allergies, Pneumonia, Asthma, Rhinitis, Bronchitis, Bronchial Infections, Sinusitis, Cold and Flu, Smoker’s Cough, COPD, Snoring, Cystic Fibrosis, Stress & Fatigue, Emphysema, Wheezing. Given how dry salt therapy works, it also: Can expand the airways for increased oxygen flow and capacity to enhance athletic performance and endurance, enable better recovery time from physical activity and stress, accelerate recovery from common colds and the flu, revitalize jet lag, Slow the aging process, detoxification, rehabilitation.